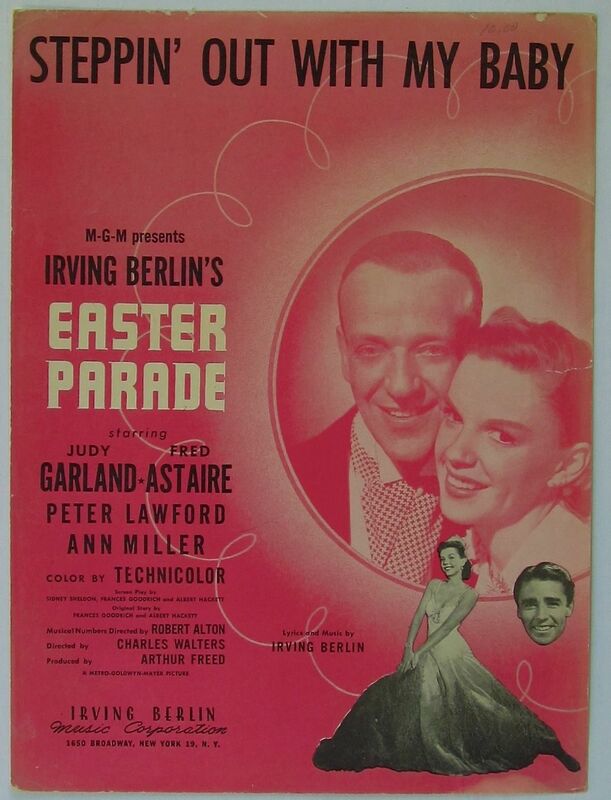 “Steppin’ Out With My Baby” was written for the 1948 film musical Easter Parade, which starred Fred Astaire and Judy Garland. 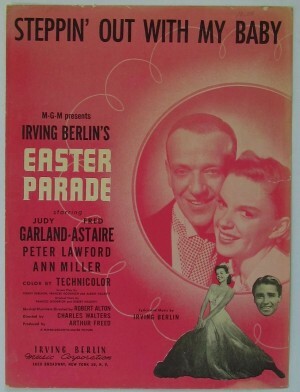 The score of Easter Parade won the Academy Award for Best Original Music Score. “Steppin’ Out With My Baby” was recorded in July 1993 and was released that year on Steppin’ Out. It was arranged by Tony Bennett and Ralph Sharon. “Steppin’ Out With My Baby” was recorded and televised live on April 12, 1994 on MTV. The MTV Unplugged album was released in June of that year. The songs from the televised concert were arranged by Tony Bennett and the Ralph Sharon Trio. “Steppin’ Out With My Baby” was recorded on June 17, 2006 with Michael Bublé and was released that same year on Duets: An American Classic [Target Stores]. “Steppin’ Out With My Baby” was recorded in February, 2006 with Delta Goodrem and was released that same year on Duets: An American Classic [Australia]. “Stepping’ Out With My Baby”was recorded in 2012 with Christina Aguilera and released on Viva Duets.